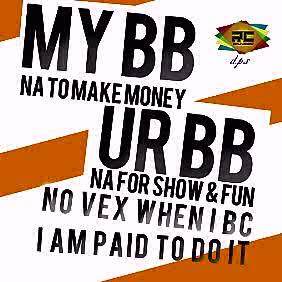 CLUBCITY BUSINESS | XcluSive Idea! This dude is back again. Killing it like The Game; Rhyming It Like Drizzy. Fellow rappers please you gotta hear this; industry needs more of this, am sure music fans gonn’ love this as well.Style Blast as you all know is from S/Africa, he is one of hot challenging rappers S/Africa ever produced. Read more "STYLES BLAST ( @SiyandaDuncan) – SONG FOR MY BABY"
Read more "#CCR_IC : LAYNE [@Lillanerulz] – Sha Ma Woran (Single Drop)"
Read more "#CCR_IC : ANGLE BHEE [@AngleBobas] Ft RIMO [@GodKing_Rimo] – What I Want"
Read more "#CCR_Release : DezCraine [@DezCraineCCR] – Go Low (Single Drop)"
Read more "#CCR_News : CHRISTMAS BONUS PROMOTION"
#CCR_News : UGIE CARNIVAL QUEEN 2014!!! Read more "#CCR_News : UGIE CARNIVAL QUEEN 2014!!!" Read more "#CCR_Pub : WHAT IS STRESS?……WHAT ARE STRESSORS?…..HOW DO I COPE WITH STRESSES"
Read more "#CCR_News : MOST BEAUTIFUL GIRL IN UNIBEN BEAUTY PAGEANT [MBGUB2014]"
Read more "“50NAIRA” POSTPONED!!! CLUBCITY CONFIRMED….."
Read more "#CCR_News : 10 Minutes With Fashion PR Guru, Moriam Musa By Onna Okafor[Pulse Interview]"
Read more "#CCR_News : Afo Kramas [@Kramasafo] – Tija"
Read more "#CCR_News : Nicki Minaj On New Commercial For The 2014 MTV EMAs"
Read more "Why Jason Derulo and Jordin Sparks split, and more news to note"
Read more "#CCR_news : AKON AND D’BANJ BOTH SPOTTED ON VIDEO SETS FOR THEIR RECENT COLLABOS [WATCH OUT!!!]" Read more "#CCR_News : YEMI ALADE – “KING OF QUEENS” ALBUM [FINALLY OUT]"
Read more "#CCR_News : Lil’ Wayne Disses Bigtime At His Ex-mamas"
Read more "THE HEADIES 2014!!! (CLICK TO CHECK OUT FOR YOUR FAVOURITE ARTIST)"
#CCR_IC : INDUSTRY COLLECTION PROMOTION RELAUNCHED!!! Read more "#CCR_IC : INDUSTRY COLLECTION PROMOTION RELAUNCHED!!!" Read more "#CCR_IC : DOUBLEoJAY – MADAM_ALERO"
Read more "#CCR_IC : SAMIE STUNT – SHUT_IT_DOWN"
Read more "EBOLA HEMORRHAGIC FEVER(EBOLA HF) LATEST"
Read more "#CCR_news : BEYONCÉ ft NICKI MINAJ – FLAWLESS(REMIX)"
Here’s what the world has been waiting for. Jessie J has combined forces with Nicki Minaj and Ariana Grande for her brand new single ‘Bang Bang’ which was produced by Max Martin, Savan Kotecha and Ilya. In addition to appearing on Jessie’s forthcoming third studio album, ‘Bang Bang’ will also appear on the deluxe edition of Ariana’s new album “My Everything”. Expect the visuals directed by Hannah Lux Davis soon. marketing experts, radio stations, and artist. Read more "#CCR_news : Jessie J ft Nicki Minaj N Ariana Grande – “BANG BANG”"
MAHEEDA always brings something new and different to the table to suit all kinds of taste buds. Maheeda will be touring Australia in september and she’s currently in Nigeria. Read more "#CCR_news : MAHEEDA – CAN YOU HANDLE IT"
I am writing this article fully aware of how likely it is that the comment section below will turn into a blood bath. This is a very touchy subject with a lot of Singers, Rappers and Bands and I’m certain my brutal honesty will be seen by some as hostile and overly critical. But those that know me well are well aware that I am extremely supportive of artists and i personally as an artist would want to see my fellow artistes succeed. Readers should also keep in mind that I have personal experience when it comes to nearly every angle of the issue at hand. I’ve been a part of shows in which the venues did nothing to promote what we had going on. I’ve headed up promotions for shows, including EME own artist development competition. I have asked questions of owners and operators of blogs/sites and major record labels in Nigeria including the leading of them all Empire-Mates as well as professional Digital & Media promoters. And during nearly seven years working as a PR-manager, I have witnessed how various types of website hosts and how the economy have harmed the very blogs and record labels many of you are pointing fingers at. Got all that? This is really long anyway, but if you stick with me, you might learn something. For the purpose meditation and comprehension, this article is slashed for two(2) episodes i.e now and nextweek. Saxophonist Tunji Akande recently got a lot of attention lately for an open letter he wrote a while back (proof things can go viral shotwhile after they are posted especially with standard promotional platform) to operators of blogs/sites and entertainment bodies that host live & digital music promotions. The letter was Akande’s way of sounding off against bloggers not paying attention to artists that requested for free promos as they feel they deserve or otherwise. The text, while not hostile in nature, was extremely misguided and managed to ignite another round of firestorms by similarly misguided artists. It was missing a lot of important information concerning why the music promotional scene is the way it is right now and really offered little in the way of how to improve it other than to say bloggers should simply promote artistes/bands free of charge. Making matters worse, and this should have been expected, the comment section under the article turned into yet another “people need to support upcoming music” scream session. So I spent the past five or six days thinking about what Akande wrote and took into consideration the points he was trying to make…and I came to the conclusion that I could not disagree with him more. See, it is easy for singers, instrumentalists and rappers to criticize bloggers for not promoting their music for it is easy to use the anonymity of the Internet to lash out at the bloggers just like it is easy to complain about it when in the company of other artists who feel the same way. But many artists find it easier to be critical in this situation than it is to sit down and take a hard look at WHY things are the way they are…because to do so properly involves a massive amount of self-evaluation. That is something most artists simply refuse to do even though it could be the key to a more successful music career. You can be an “artist” in the privacy of your own home or with your family/friends or when you are recording or when you are playing at an event that doesn’t involve money. But once you step into the realm of showcasing in exchange for Money, Power & fame [MPF], you leave the sanctuary of being an “artist” and enter the no-holds-barred world of “business”. That changes the rules quite drastically because the level of expectations becomes much different and you suddenly introduce several variables over which you have little or no control. Once money is involved you become a businessman/businesswoman, a marketer, and a customer service representative, a proffessional artist. The music business is a business of relationships and you need to have good relationships with your fans as well as the promoters[bloggers] at which you are hoping to carry your music. Yet I see so many of you burning bridges by publicly blasting the promoters, presenters, PR-managements for not giving you what you want instead of creating a better situation for yourselves. And you CAN make a better situation for yourselves. I know you can because there are bands out there right now “making it” just fine, only they aren’t sitting around bitching and moaning about the current state of things and are instead finding new ways to thrive in the evolving business environment. I had the honor of being involved in a truly wonderful show at the Eko Motel Cafe in Lagos. I was the show’s writer and host and, taking my role in shows as seriously as I do, I was present for every rehearsal for the months leading up to it (yes, we rehearsed for MONTHS for one show…and lived to tell about it). A few weeks before the show was scheduled to take place, one of the performers brought to our attention that Eko-Motel are not only wasn’t trying to promote the show, the venue hadn’t even put it on their website’s schedule. The show’s producer, Tosyn Bucknor of TopFM attempted to contact Eko-Motel about the issue to no avail. Relatives of some of the performers in the show started calling too, wanting to know why it wasn’t on the site’s schedule. Nobody could get any answers. Were we upset about it? Of course we were. How did the performers in the show respond? They kicked their ticket selling efforts into high gear and, not only did they sell out the venue, the Eko-Motel that night was over capacity. In a perfect world, promoters would be just as enthusiastic about promoting your music/shows in their house as you are. Sadly, it isn’t a perfect world. Imagine a situation whereby an online promoter uses thousands of naira to open an online promotion avenue(site/blog), monthly maintenances, network provider’s Subscription, ads placements for the site. The question here is how many of these have you done and sell out for free for people to make use of? And am sure No dumb artist will ever support that this kind of platform should be a charity home but rather a “Business” and remember “no relative/family in business” except if you are a kadashian. You wish bloggers would do more to promote your music and shows. I understand that. But this is an issue; you have little or no control over it. So you can refuse to pay those bloggers or you can accept it for what it is and find ways to improve your own marketing skills (something you should be doing anyway). I can tell you this though: Whining and complaining will change nothing. Put on your “business goggles” and look at yourselves through the eyes of a promoter and you will see a financial risk, not an asset. This happens for a lot of reasons. Many of you fail to stop and think about how many other walk into their box on a daily basis and say “please am an upcoming artist with dope tracks, please can you help me to promote it on your site for free? ” or even shower the owners with promises of massive downloads [ meaning am a super star have got lots of fans out there who will boost-drive your site trafick by downloading my music]. May be the bloggers thought on an unproffessional side and gave it a trial then the saga arrives and your music only brought in 15 people into the site and 10 downloads for a whole six-months. Why is this such a huge financial risk for the venue? Not only would they be in the hole for agreeing to promote your music/show for free, the owners would have scheduled too much on his/her own part like employees to work (co-bloggers, posts/tweets generating members etc), time-spent for BCs/Posts/Tweets/Emails not knowing that the artist name he is branding is a mug(unknown) to people). That is a lot of money to not make back because you made empty promises about crowds you knew you couldn’t bring. And imagine how pissed off the employees would be if they had to work on your music every day and night only to get sent home with no profit from you nor attention/few from people into the shift..unh?. In that case, not only is the blogger out a lot of money/time, now their co-workers are unhappy. Want to know how you can clear this hurdle? Coming week Edition of ClubCity Artist guide is going to published an outline of various ways in which you as an artist can development your fan-base powercircle and promote yourself with little or no naira attached. 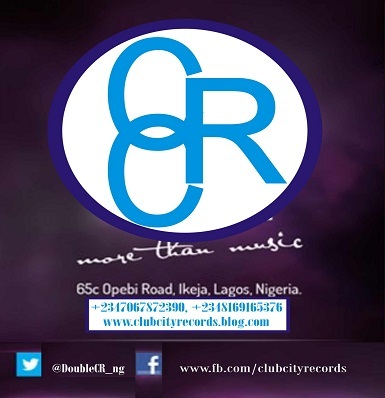 Read more "#CCR_pub : WHY ARTISTS AND BANDS NEED TO STOP CRITICIZING BLOGGERS/PROMOTERS By Badmus Hollalechan, ClubCity Records Ng (@DoubleCR_ng)"
Read more "#CCR_news : #WC_2014 PRAYER POINTS"
Read more "#CCR_news : KEFEE BURIED!!! [ (R)eturn (I)f (P)ossible SISTER… ]"
Read more "#CCR_news : Lil’Wayne Talks Tour With Drake and His Feature on Carter V"
Read more "#CCR_news : She Came To Give It To You – USHER"
Read more "#CCR_news : GULDER ULTIMATE SEARCH (S-11 REGISTRATION LAUNCHED)"
Read more "#CCR_news(Sponsored) : FizKroWn_ft_WIzKid – Sweet Banana"
Read more "#CCR_release : DezCraine – Mo ti Overtake [ClubCity Reloaded]"
#CCR_news : ANGELA OKORIE; A THIEF OR BLACKMAIL?? Read more "#CCR_news : ANGELA OKORIE; A THIEF OR BLACKMAIL??" Tinsel stars, Alex and Florence Okechukwu, who play husband and wife in the popular MNET TV series have welcomed their first child. Report reaching us states that Florence Okechukwu gave birth to a baby girl earlier June 18. #EkÚ ÕwÓ lÓmi oo. Read more "#CCR_news : BET Lines Up Tiwa And Ice Prince For Grand Perfomance"
#CCR_news : DRAKE Vs LIL’ WAYNE TOUR!!! Read more "#CCR_news : DRAKE Vs LIL’ WAYNE TOUR!!!" Read more "#CCR_news : 2014 MTV Africa Music Awards"
Read more "#CCR_news : May7en- SISTAS UNITE #BRINGBACKOURGIRLS"
Read more "#CCR_news: MEET SUSTAIN BEATZ (@Sustain_Mavin)"
Read more "#CCR : @SUSTAIN_BEATZ : “9Ja There Is God oo #T_I_G_O Ft Isolate"
Read more "#CCR : @SUSTAINBEATZ : “9Ja There Is God oo #T_I_G_O Ft Isolate"
This is going out to every hood again. Its all about hoW you as an upcoming artist can promote yourself wit no/little resources y’all Waste on catching funz on fb, insta, BBM, twitter, Linkedin etc. Join Badmus Hollalechan for this week edition(It’s a lyrical World!!!). Read more "How You Can Promote Yourself With No/Little Resources Y’all Waste On Catching Funz On Fb, Insta,BBM,Twitter etc…"
Read more "CHEAP INTERNET SUBSCRIPTION: CONGRATULATIONS TO ANDROID USERS"
Read more "Presidential Villa, SSS Headquarters Abuja"
CLUBCITY FRIENDS: Do Biz We Us Now!!! Read more "CLUBCITY FRIENDS: Do Biz We Us Now!!!" Read more "BIOLA IGE & MUNA IBEKWE ON THE NEWS"
Read more "Kanye West has been sentenced to two years probation, 250 hours of community service and 24 anger Management Sessions for his LAX Attack"
Read more "#CCR_news : WATCHOUT! WEEZY IS BACK AGAIN ON CARTER V"
Read more "#CCR_pub: 3-COMMON PR MISTAKES ARTISTS/BANDS ALWAYS MAKE"
#CCR_news: M. JACKSON’S 31 YEAR SON DETECTED!!! Read more "#CCR_news: M. JACKSON’S 31 YEAR SON DETECTED!!!" Read more "#CCR_Opp : International Beauty Movement Fashion Magazine Internships 2015 (APPLY NOW!!!)" Read more "#CCR_News : NIGERIAN STAR PATORANKING (@Patorankingfire) SIGNS DEAL WITH VPAL MUSIC TO DISTRIBUTE ALBUM"
Read more "#CCR_News : EVA ALORDIAH (The Raving….)" AY is bitter! and when AY is bitter nothing else goes better………. His popular movie, 30 Days in Atlanta, which is Nigeria’s highest grossing cinema movie of all time, has been pirated. Read more "#CCR_News : AY’s 30DAYS IN ATLANTA PIRATED…… WTF -AY"
Read more "2015 Carnival in Rio de Janeiro"
Read more "Tweet from TweetCaster"